Buy Cheap Bed Frames and Bed Heads Online. High quality outdoor and indoor furniture settings at affordable prices. At iStyle, our customers regularly tell us they appreciate the superb value for money on our indoor and outdoor furniture settings range. We match a range of terrific bed frames, bed heads and quality replica and reproduction furniture choices to unmatched value, and deliver Australia wide. Our famously affordable prices are just one of the many highlights you'll find here, but we know that gaining proper value for every dollar you spend is always at the front of your mind. This means everyone can now afford designer furniture. We spend around a third of our lives in bed, and some folks more than that. Sleeping soundly and waking refreshed is a beautiful thing; it means you are always functional for the day ahead. Finding the perfect bed at our famously affordable prices is like the soothing of a gentle lullaby. However, the best chance of gaining those eight hours or so of shut-eye every night is known to be found when your bed is also a superb product, one with a reputation for providing long-lasting night-time comfort and support, and delivering it with a touch of true quality. At iStyle, we always work on your behalf to match beauty to style, elegance to substance, and truly affordable choices to outstanding value. 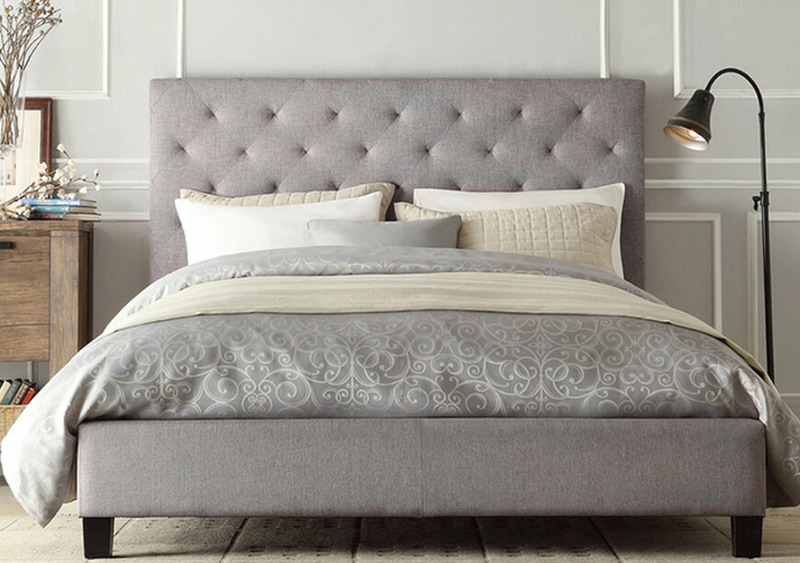 Examine our wide selection of superb bed frames, and you'll soon see just what we mean. Delivering flat pack products, right across Australia, of these easy-to-assemble bed frames, each with its own clear assembly manual, is just one way that we can keep those prices low, while delivering astonishing quality and value. Just a few minutes' work and you can lie down and rest in both style and comfort. You can browse online now and experience this for yourself. This is simply the best place to buy! Which of these stunning cheap bed frame choices best meets your needs? You might go for a truly modern high quality PU leather choice, constructed using both MDF and solid wood plywood, featuring stylish wooden slats and feet. Alternatively, you might prefer a stunning metal choice, with our truly solid yet ever stylish Jessica bed frames, again offering the unbeatable support of wooden slats. Our Carona and Monolisa choices offer well padded foam carefully matched with a quality linen fabric finish that looks as stylish as it feels welcoming. For a slightly different effect, take a glance at our Lanvine or Malloroca PU leather choices. Here, the frame sweeps gently down like a wave caressing a beach, yet also offers that padded level finish allowing you to find that perfect sleeping position as easily as any drowsy koala. All available to buy online right now! Looking for vital storage space as well as a truly affordable bed? Our range of Prada Gas Lift beds offer that modern PU leather design, backed up with an easy-lift full-size under mattress storage option. This provides a great place to store your spare bed linen and pillows, and so much more besides. A cheap solution to that annoying storage problem, as well as providing a great night's sleep! From a single bed for the younger members of your family, or perhaps a guest room, right through to a wide choice of king singles, doubles, kings and queens, iStyle offers those truly affordable online bed choices to match your needs and enhance your home. Remember, each is flat packed to offer maximum value, yet is easily put together in just a few minutes, thanks to our simple assembly manuals. No matter where you are across our land, from Western Australia to the Northern Territories, Tasmania to Queensland, and right across ACT, South Australia, Victoria and New South Wales, we'll quickly organise prompt and convenient delivery. Frame choice sorted? Now go for great mattress value on top! It's so easy now to match your choice of our famously affordable bed frames to a superb value for money quality mattress. Here at iStyle, we know that our modern design choice is the way to go. Available in single, double and king sizes, each offers the firm support of a latex and pillow top layer, and this high density foam mattress features a 6 turn coil system and 5 zoned pocket springs; and the material used is also hypo-allergenic. Sleep well, wake refreshed, and with plenty of dollars left in your pockets when you order online for cheap yet quality bed heads, bed frames and mattresses, all available now for across-Australia delivery. While we are famous for our amazingly cheap online bed frames and bed heads, here at iStyle we also offer so many other terrific furnishing options right across your home. We also specialise in delivering superb value in European influenced indoor and outdoor furniture. 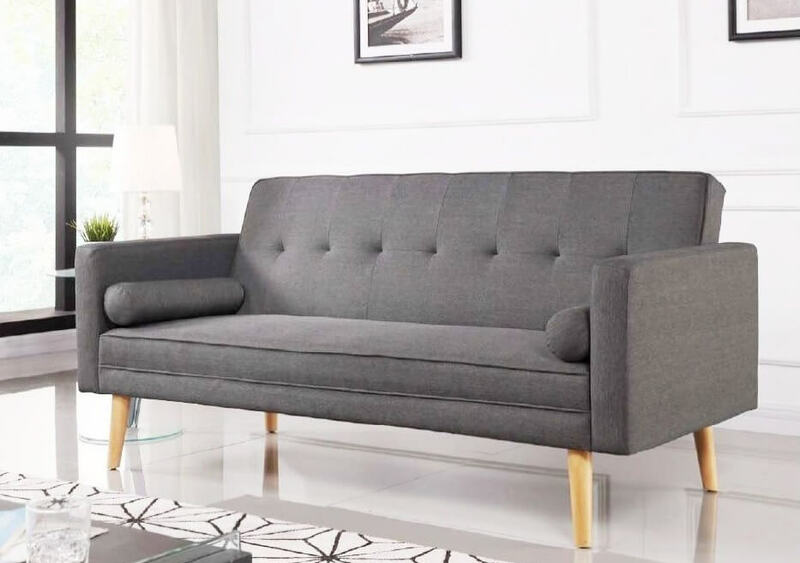 Inside your home, you can enjoy choosing from a wide range of stylishly modern and gloriously comfortable faux leather and fabric sofas, amazingly starting from just over $200. If dining style is as important to you as genuine value, then take a moment to marvel at our 6-seater Casey solid glass table and chair sets, available in stunning black and pristine white. Our team have also carefully chosen a range of other cheaply-priced but value-rich pieces for inside your home. You might fall instantly fall in love with the astonishingly elegant Noguchi coffee table or choose from our wide range of bar stools for both comfort and style. A crystal desk lamp can add much to the corner of your home where you like to concentrate. For some of the great bed and furniture names, originals are rarely found and hugely expensive. This is why we work to offer stunning reproductions of Eames chairs and rockers and Le Corbusier sofas and loungers, Florence Knoll sofas and singles to Barcelona 3-seaters or Tolix Xavier chairs. Our dedicated team have carefully crafted reproductions of names that mean something special, and then worked tirelessly to deliver them at an unmatched value in Australian online furnishing choices. When you step outside - we're with you there as well! When you're out of doors, relaxing on the patio, our superb choice of famously affordable outdoor umbrellas can offer the shade you crave, while relaxing on one of our stunning sofa choices or enjoying a family gathering, or evening dinner party, around our great value quality outdoor dining options. From a wonderful night's sleep thanks to our cheap bed frames, heads and mattresses, to a balmy outdoor evening with friends or family, iStyle offers outstanding value while reproducing some of the greatest indoor and outdoor furniture styles. Of course you can visit us in-person, and view so many great choices, at our store at 22/428 Old Geelong Road in Hoppers Crossing. If you live elsewhere, right across Australia, then it's so easy to make your choice and buy here and now online. If you have any questions, simply take a moment to complete the Contact Us box at the foot of this page and we'll be happy to answer any query and offer all the help we can. Every purchase is quickly shipped to you direct from our store. This allows us to offer these cheap prices we're so proud of  and our customers keep telling us are unmatched elsewhere. Each is backed up with a valuable 90-day warranty against defects and shipping damages, and, we know that people do occasionally change their minds, so do check our generous returns policy.